Comment on Product Launches by HERMAN. Vic, this is a great blog. i used to struggle in putting the right words for my ads. Not any more. I just have to get started and do it! Thanks a million and thank you for sharing your secrets. God Bless!!! This blog is awesome. You hit the nail on the head in uncovering the scams some marketers play in their upsell. I hate OTO or should I say many offers. Vic Hutchinson is the deal and a true mentor. 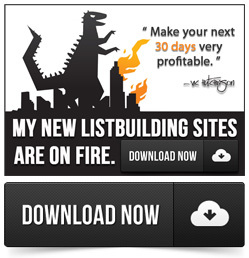 Thank you, Vic, for uncovering the plot many so-called marketers use. Folks, choose Vic Hutchinson over other Gurus. The key is :Controlling the Mind. There are so many crazy thoughts that enter our minds and we do not filter our minds whereby in the end it is absorbed. That goes for pain too. We only experience what is in front of us and do not know that we have the power of God to rebuke the pain. A line I use is: }Lord Jesus, I refuse this temptation and I thank you for sending it to the foot of the Cross”. I find saying that prayer removes the pain after awhile. in the Marketing world the pain is the defeatist attitude we develop instead of Controlling the Mind. I am in good company. Most of those gurus out there don’t tell or give away their secrets on how to succeed in Internet Marketing but you do. I thank you for that. Thanks for being a great and the best Mentor, Vic. I cannot thank you enough for teaching me the ropes as you have done with this Blog. Again Thank you and happy to be part of this family. God Bless!! !